Now, Democratic state Sen. Mike McGuire is sponsoring SB 67 that would rectify this and extend those temporary licenses to cannabis farmers so they wouldn’t suddenly be out of compliance. McGuire explained in a hearing on the bill that the intention is to protect cannabis farmers who did their best to comply with the law by applying for a state license just after the passage of Prop. 64. The state’s marijuana law allowed for a 120-day temporary license with a potential 90-day extension. Temporary license holders struggling to comply with the California Environmental Quality Act can apply for a provisional license good for 12 months. The whole point of this provisional license was to give California cannabis farmers the opportunity to continue operating while they worked toward obtaining their full annual license. Unfortunately, what happened was the state handed out very few provisional or annual licenses. Of nearly 7,000 applications submitted to the state’s Farm and Agriculture department, the grand total issued by the state was just… four. In all, only 52 annual licenses were submitted by all state agencies. The temporary licenses, meanwhile, are already beginning to expire. 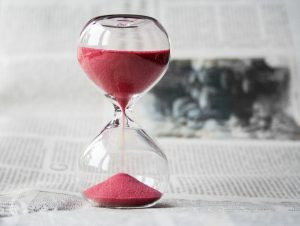 The temporary license holders no longer have the option of applying for an extension, as the deadline to do so under existing law was the last day of 2018. As our Orange County cannabis farmer lawyers can explain, that meas all of these thousands of temporary license holders will once again be illegal – selling on the black market (starting this month!) – unless some drastic changes are made to state law. SB 67 would give a full 12-month extension to the previous deadline, making it Dec. 31, 2019. As McGuire noted, without legal licenses in the state, we have no regulated, legal market – which is not the way we want to transition a multi-billion-dollar agricultural crop that has put thousands of Californians to work. Some state Democrats are also proposing a reduction of taxes too to help ease the burden on licensing. Making it retroactive will be essential also. Our Orange County marijuana business lawyers are eager to see this measure pass – sooner than later. Dozens of industry groups are also on board supporting this bill, and thus far there have been no groups that have registered opposition. We’re already aware of several farmers have already been pushed out of the industry because their temporary license expired before the state ever got around to issuing them a provisional license. Doing nothing is not an option, and many industry insiders agree will lead to market collapse – something not even those skittish on legal marijuana are eager to see happen. The governor’s office has assured lawmakers state agencies are making license issuing a priority. Still without this bill to offer protection, the market may be in dire trouble.